So I’m back posting! I may have said this once before but I’m here to stick to it! I’ve officially settled into uni and I’m finding the time to write again and have no excuses seeing as I have some free time whilst on my long train journeys up to university! I’ll also be buying a new camera soon so I won’t have to take all my pictures on my phone!!! so more blog photos to come! 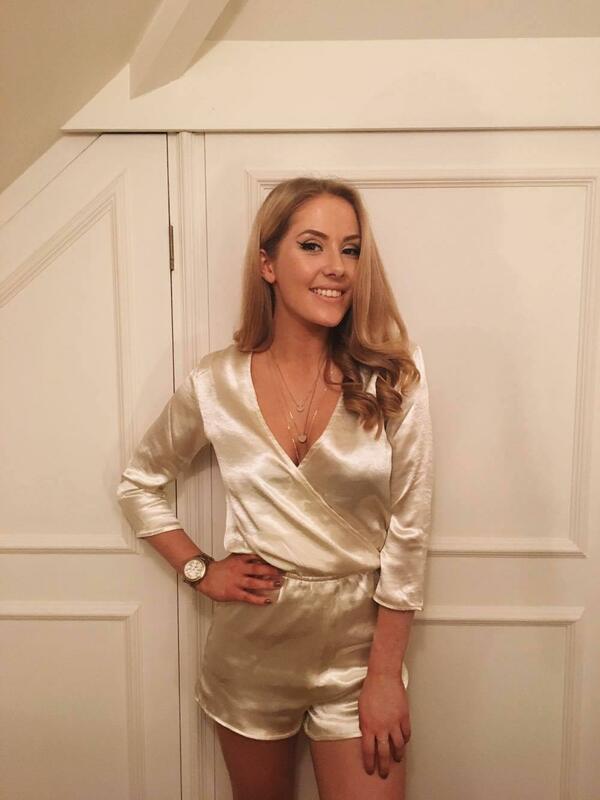 My first post back is about a few of my favourite gold items at the moment, I love sparkle and I love gold! I mean who doesn’t? So heres a few of my favourite gold buys!!! 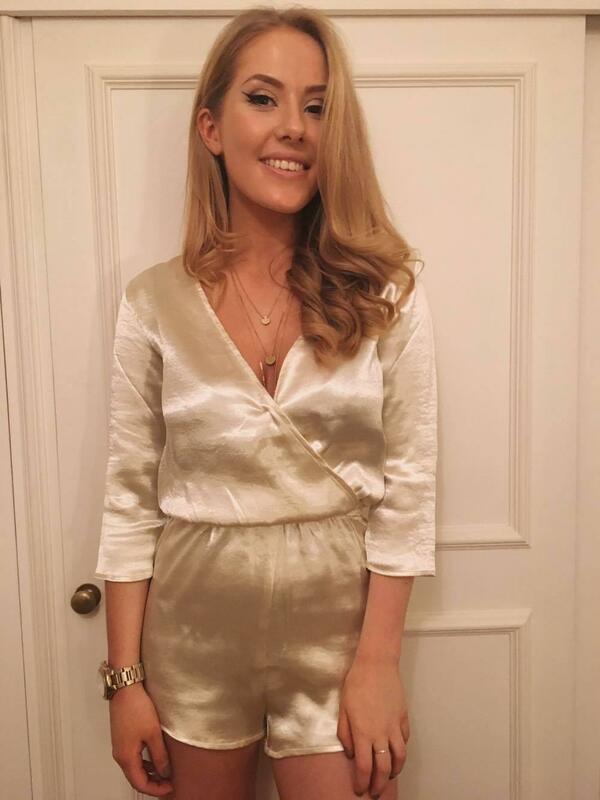 My favourite playsuit ever, the Tiago Playsuit in Champagne from Dancing Leopard! they do this in Champagne, Midnight Blue, Metal Silver, Pine Green and Maroon (OxBlood). (I’m wearing a size 8 here!). This can be dressed up with heels or down with trainers and still looks great! 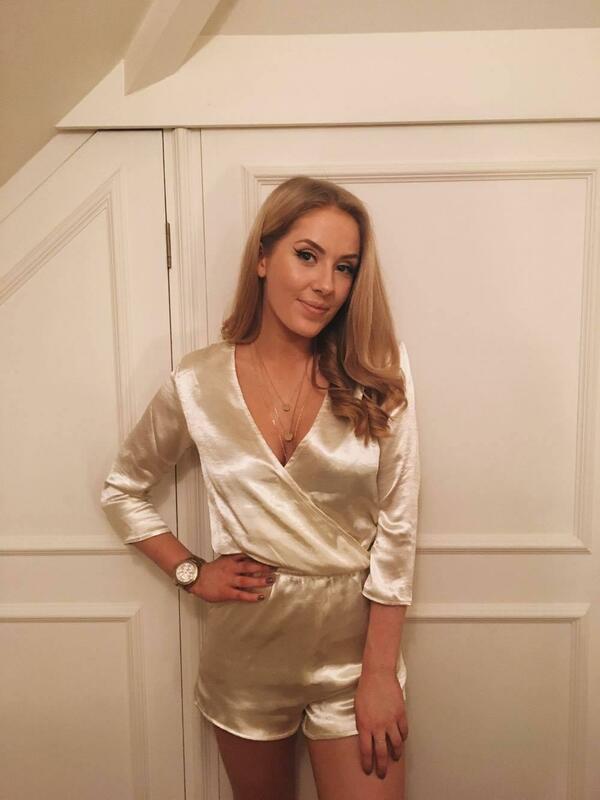 InTheStyle Gold Metallic Satin Choker Slip dress which is now in sale for £11.99!!! I got a size 8 in this too! 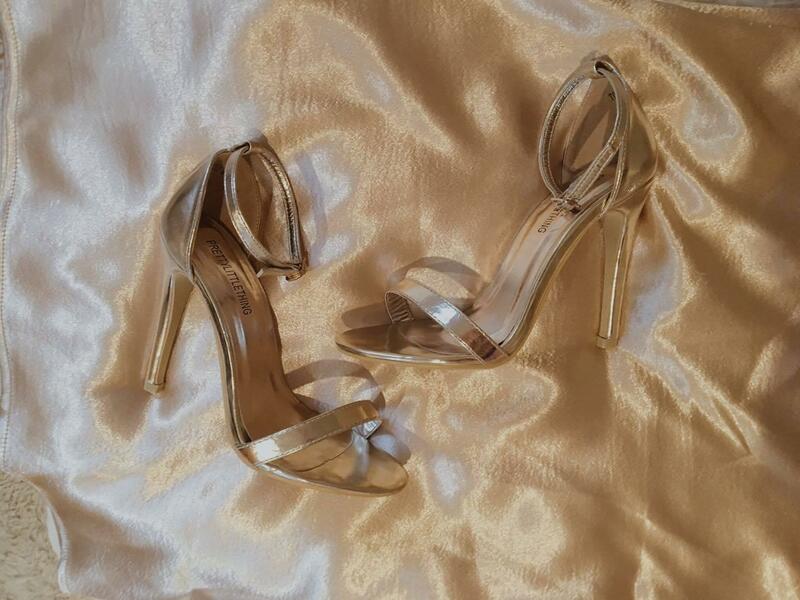 My beautiful PrettyLittleThing Clover Gold Metallic Strap Heeled Sandals! Click here to Buy these items! 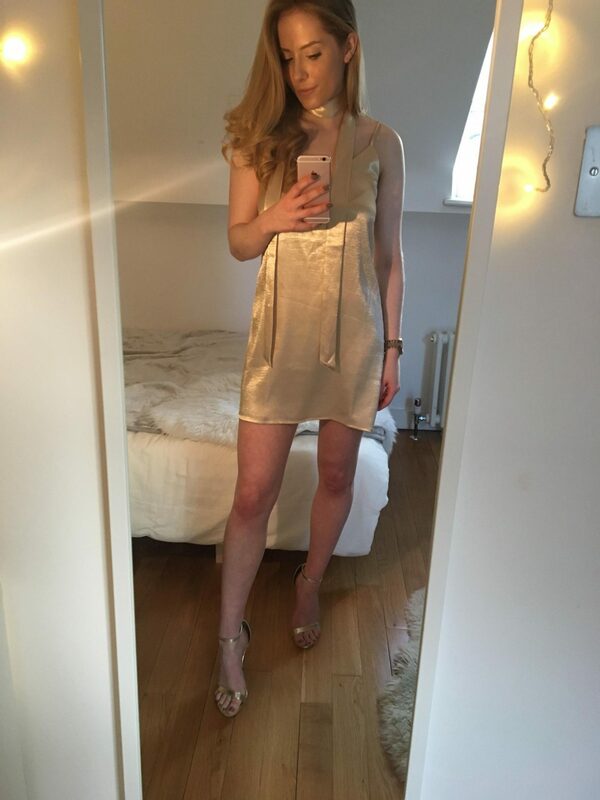 Tiago Playsuit in Champagne from Dancing Leopard! PrettyLittleThing Clover Gold Metallic Strap Heeled Sandals! Previous Post Happy and Healthy! Next Post Braid Babes Brighton!